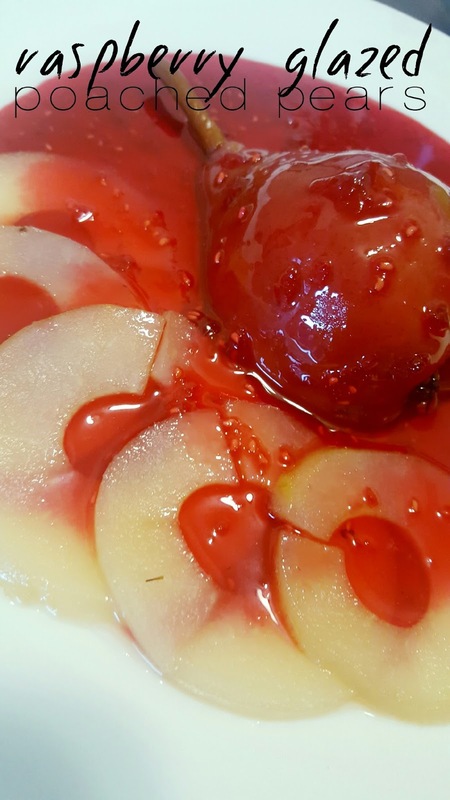 Matt was feeling fancy the other day and he decided to make poached pear. I think he wanted to light something on fire. He didn’t realize that you are supposed to put 1 tablespoon of Rum on top to light it on fire and get the desired result. Since we don’t drink, we didn’t have any Rum on hand. I read online that Rum tastes like butterscotch. Now I see why Jack Sparrow is so obsessed with his rum. 1. Bring water, sugar, and vanilla extract to a boil in a saucepan over high heat. Add 4 pear halves, reduce heat to medium, and simmer gently until the pears have just turned tender, about 5 minutes. 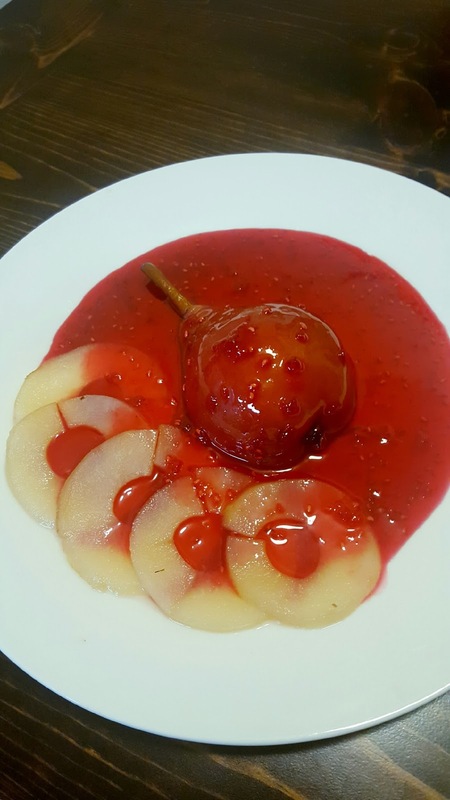 Remove cooked pears to a warm dish and continue to cook the remaining pears. 2. Increase heat to medium-high and boil the jam, water and cornstarch. For about 30 seconds to 1 minutes. Cook and stir until thickened. 3. To serve, pour the hot sauce over the pears. Enjoy! What a lovely dessert! 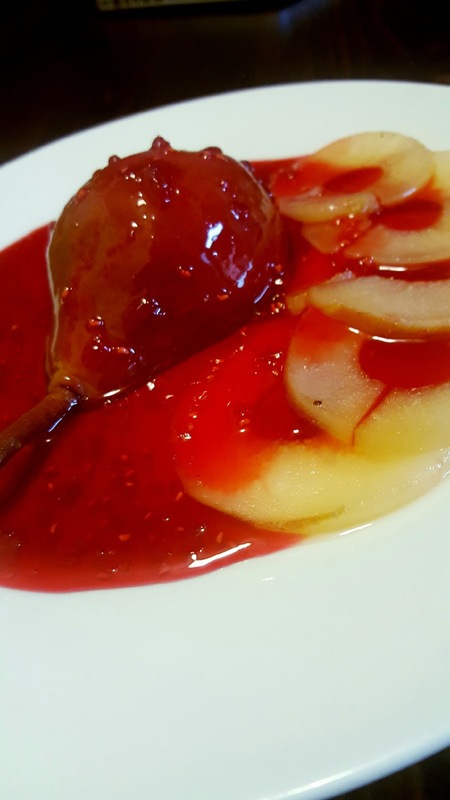 Poached pears are so refreshing after a heavy meal – love the raspberry sauce! Sharing! Thank you for bringing this delicious recipe to the Hearth and Soul Hop.